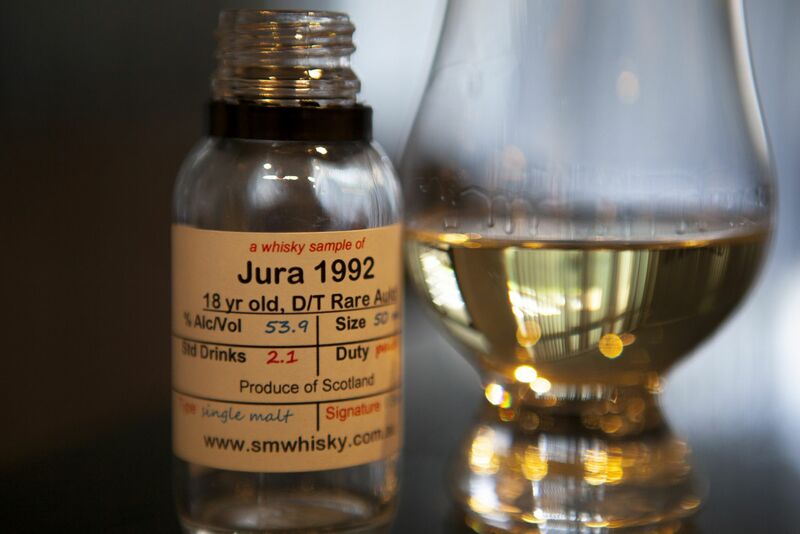 While buying a few bottles from smwhisky.com.au I decided to grab a sample of the 1992 18yr old Jura single cask from Duncan Taylor. I’d had my eye on it for a while but didn’t want to put down the cash for a full bottle. Having only had the standard Jura range before I was excited to try a single cask offering with some age to see what Jura is really like. Nose: Iodine and honey. Light peating. Chocolate oranges. Hint of Vegemite?? Palate: A lot smokier than the nose. Barley sugar style sweetness. Hints of espresso and cocoa. Finish: Clay and pineapple chocolate mixed with waves of peat and iodine. Quite unique. Overall this wasn’t a bad dram. Enjoyed the finish on this one a lot, the clay and pineapple chocolate elements were unexpected and thoroughly enjoyable. Also surprised at the amount of smoky peat on the palate that seemed far lighter to the nose. To go with this whisky I have chosen a song by The Killers, pretty awesome track and clip, enjoy.